Wide range of issues concerning development of agriculture and with specific reference to the crops to be raised in ensuing Rabi season were discussed by the officers of the Central & State Governments and UT administrations in the Conference on Agriculture for Rabi Campaign 2013. The States raised various issues of their concern, such as approval mechanism for pesticides; conduct of location specific research on pesticides by State Agricultural Universities. Development of heat tolerant varieties; management of yellow rust; management of fallow lands; need to increase area under protected cultivation; farm mechanization to off-set high labourcost; subsidy on chemical fertilizers; additional rake points for fertilizers; treatment of acidic/saline soils, etc. The issues raised were responded to by the officers of the Union Ministries of Agriculture and Fertilizers. Some of the issues raised regarding availability of quality seeds for stress prone areas; need for making arrangement of Breeder / Foundation seeds for seed production / multiplication; availability of quality / certified seeds of early maturing varieties of wheat, lentil, khesari, groundnut, sunflower and their integration with seed rolling plan etc. States were advised to tie up for their next year’s requirement of high yielding and quality seeds with National Seeds Corporation and other agencies identified for the purpose which were fully geared up to meet the requirement. 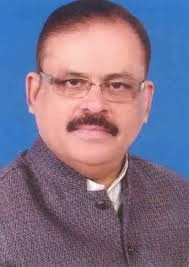 This information was given by Shri Tariq Anwar, Minister of State for Agriculture and Food Processing Industries in written reply to a question in the Lok Sabha today.